With hours on an ambulance sitting with your hips flexed and shoulders rolled forward, it is no secret that the risk of injury is high for shift workers such as EMS,fire and police is high. The solution is obvious but hard for some decision makers and individuals to wrap their head around. Strength builds reseliency and can decrease the amount of work related injuries with a good exercise program. Now, maybe you go to the gym, and your pretty strong and fairly fit. What if you could gain strength that transferred over to your job on the road or in the hospital and in your day to day life. What if you could two birds, one stone the hell out of your health and fitness. What would that program look like? Here is what we think a fitness program would include for strength and stability in life. Solid Nutrition: It has to start here. Improve your relationship with food and the decisions made around that and you will find immediate long term success. 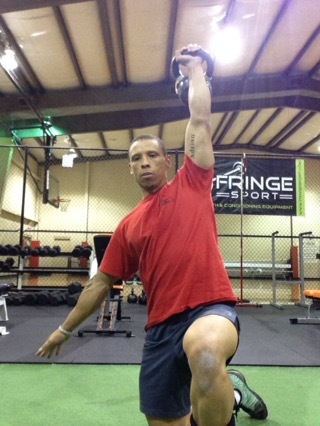 Stability and Mobility at the major joints for functional movement. The joint by joint approach created by Grey Cook and Mike Boyle describe the difference between mobile and stable joints in greater detail. Strength Training at least 2-3 times per week. Definition of strength and strength training is obvious but can vary from person to person. Basically move a load over a specified distance for a specified amount of time. Aerobic Training or what others may know as cardiovascular training. I think of them as the same or as one effects the other. Aerobic stuff will improve cardiovascular function. Progressive: Your program should allow for progressive adaptation over the span of the program. You can then track your results and see how you perform over time. Fun. Your program should be fun! There should be some variance to it but not to the point where you are seeing no progress. These are just a few things I would look for in a program. If you want to understand to learn about some of these topics you may need a coach to help you get started.